Is the PS3 or Wii more recession-proof? Analysts disagree over who will be hit worst by the recession? Is the PS3 likely to be the worst hit by the credit crunch? The games industry is posting record financial results for the last year, seemingly defying the economic downturn affecting most other industries as the credit crunch bites. But what of the future? Can the games industry continue to cheat the recession? Will we see an industry play it safe with sequels and major movie licensed products taking precedence over new, original and innovative IP development? Nobody knows, yet. But, as ever, there are always industry analysts willing to take a punt on what the future holds in store. Joe Public doesn't need an industry analyst to tell them the games industry is booming, mind. Pop into your local Gamestation, Game, Zavvi or HMV and you can see for yourself that for the games industry good times are still rolling. Dorian Bloch of GfK Chart-Track told the Guardian this week that: "The UK market in particular is gearing up for a best-ever fourth quarter overall. At the end of the year, 2008 should be 30% up on sales over 2007 with 75.5m units of console software sold." 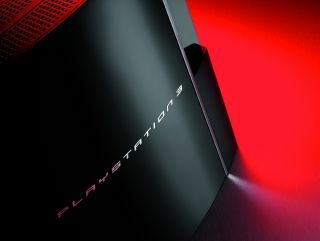 Analyst Piers Harding-Rolls claims that "the PS3 is most vulnerable to a downturn… consumers become more price-sensitive under these conditions and the PS3 is expensive, so they may delay their purchase or even buy a different console." Wii casuals to stop buying? Nick Gibson of Games Investor Consulting, disagrees, claiming: "I would say that Nintendo… would be the most susceptible" due to its reliance on the casual gaming consumer, who will stop buying games once they run out of extra cash to spend on what they view as a non-essential, luxury purchase. MVC Publisher Stuart Dinsey notes that the funding issue for developers and publishers is the real concern over the next year. "If there are games developers or publishers out there that haven't been making money during the incredibly profitable period of the last two years, how on earth are they going to get through the next two years? Do they really think the banks will lend them money?" "The result of all this economic turmoil is that there might be a propensity to go for the safer brands. The credit crunch could mean it's going to be more difficult for new intellectual property to break through."